Little Kitty Cat wall design is Purrrfect for your little crazy cat lover! Measures apx 15 x 9. 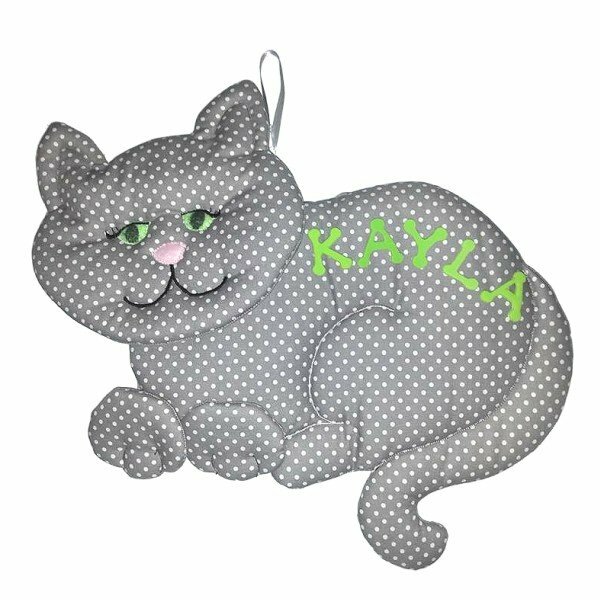 Our Kitty Kat Wall Design is personalized FREE (up to nine letters long). Ribbon is included for easy hanging. Fabric wall design is quilted with batting and foam and has unique details.